A: At present, we only accept western union or money gram or bank transfer. We would prefer that you can pay by western union because it’s faster and safer. we will send you a confirmation email and start prepare your order and ship them out soon. A: Right now we mostly ship by EMS and DHL because they are fast and safe. of 7,8 and 9, we only charge 20 usd for shipping fee. is not included in the activity "6 items for free shipping". Q: What do we do after we receive your MTCN (Money Transfer Control Number)? A: STEP1:When we get the MTCN number from you, we will confirm the payment with the bank. STEP 2:When we get the payment, we will email you and prepare the order for you. STEP 3:When we ship the order, we will email you the tracking number. Q: What do you do when you receive email about items out of stock? you can choose another items with the same price as replacements. We will choose them for replacement and ship them to you soon. When we ship, we will email you the tracking number in two days. Q: What do I do when I find that the item I receive has problem? A : When you have problems of the order what you have got. it for you and solve the problem for you. Q : How can I track my package? 7 : Q : How long will the shipping take? How long can I receive my package? A: The shipping usually takes 5~7 business days. 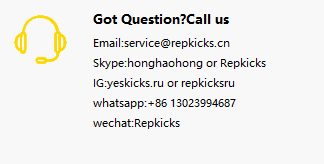 ☺If you have any other question, please email us or chat with our online service. ☺We would be more than happy to answer your question for you.